Come to the dark side. 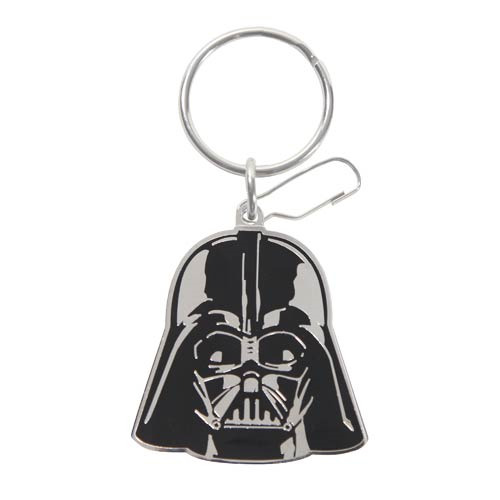 Crafted of high-quality metal and enamel for long-lasting durability, with a heavy-duty plated split-ring and clip to secure your keys, this Star Wars Darth Vader Enamel Key Chain makes a terrific gift for any fan of the Sith Lord! Ages 13 and up.